Using timesheet rules can prevent costly timesheet mistakes. 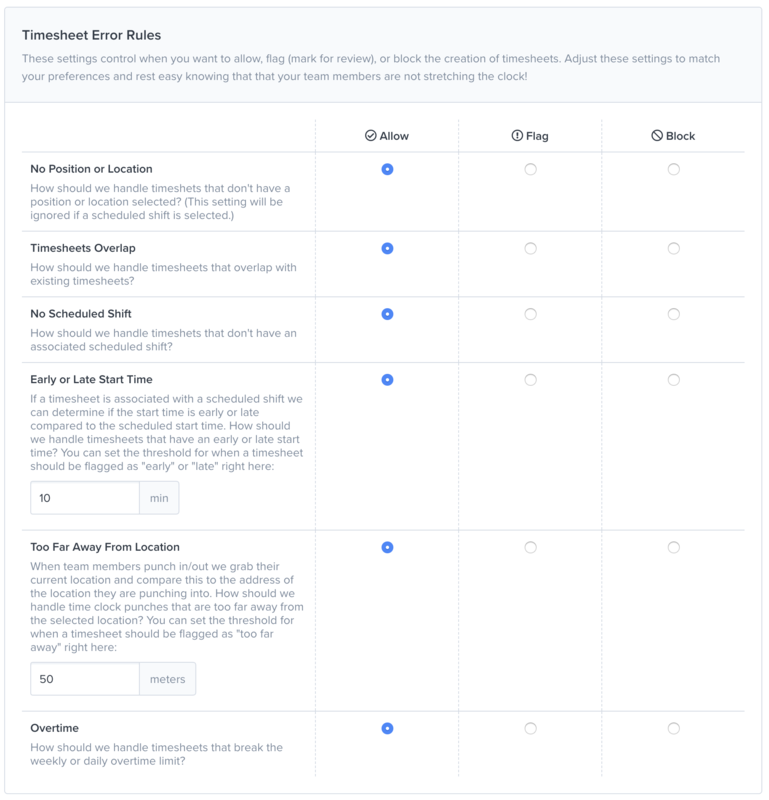 Timesheet rules control when you want to allow, flag (mark for review), or block the creation of timesheets. You can restrict where, when, and how team members punch in. To update your rules go to the Settings => Timesheet Settings => Timesheet Error Rules page. See the image below for a list of all the options available. Update these settings to match your preferences, and rest easy knowing that that your team members are not stretching the clock!